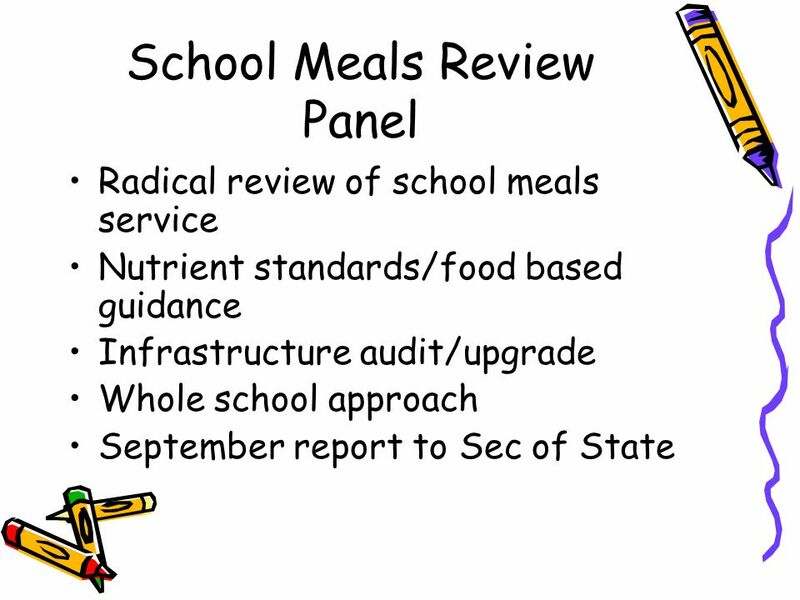 School Meals Review Panel Radical review of school meals service Nutrient standards/food based guidance Infrastructure audit/upgrade Whole school approach. 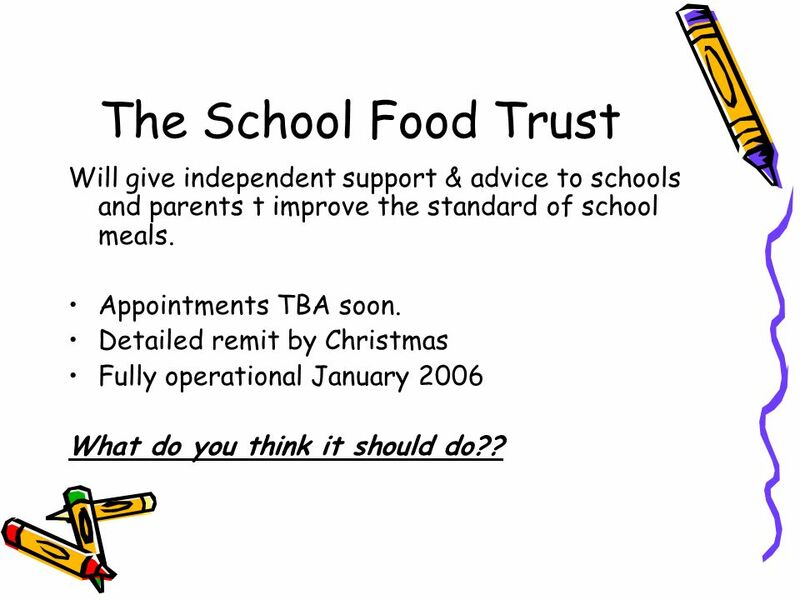 5 The School Food Trust Will give independent support & advice to schools and parents t improve the standard of school meals. Appointments TBA soon. 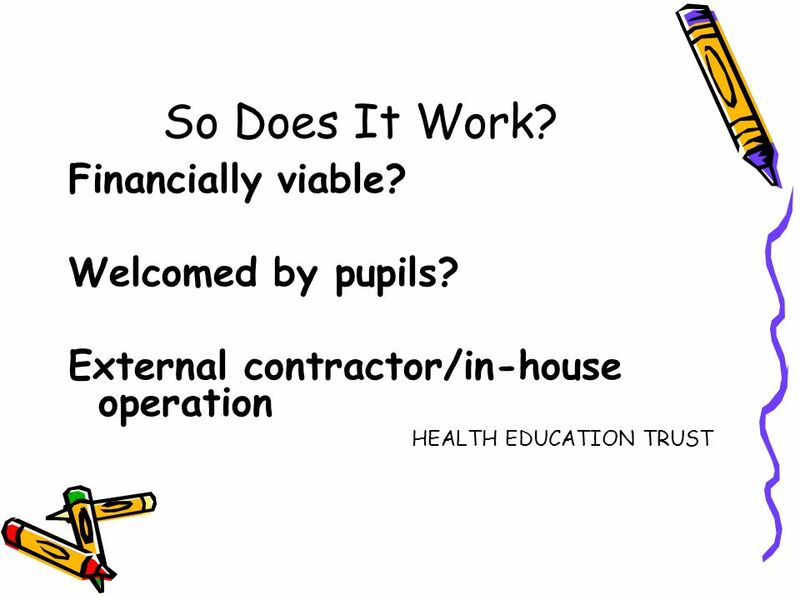 Detailed remit by Christmas Fully operational January 2006 What do you think it should do?? 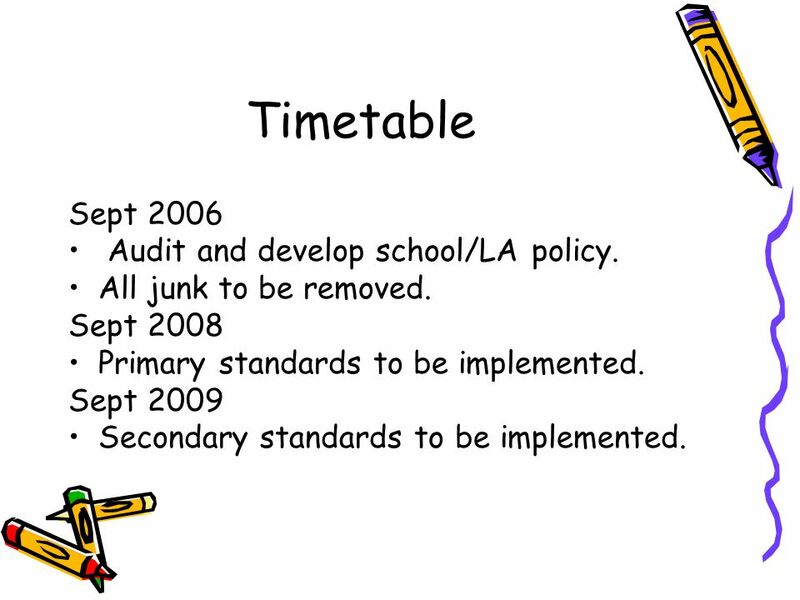 6 Timetable Sept 2006 Audit and develop school/LA policy. 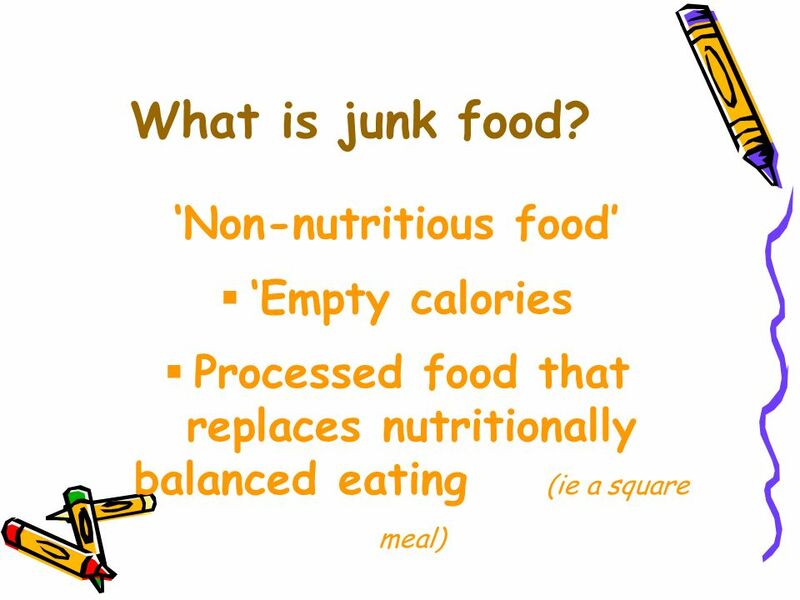 All junk to be removed. 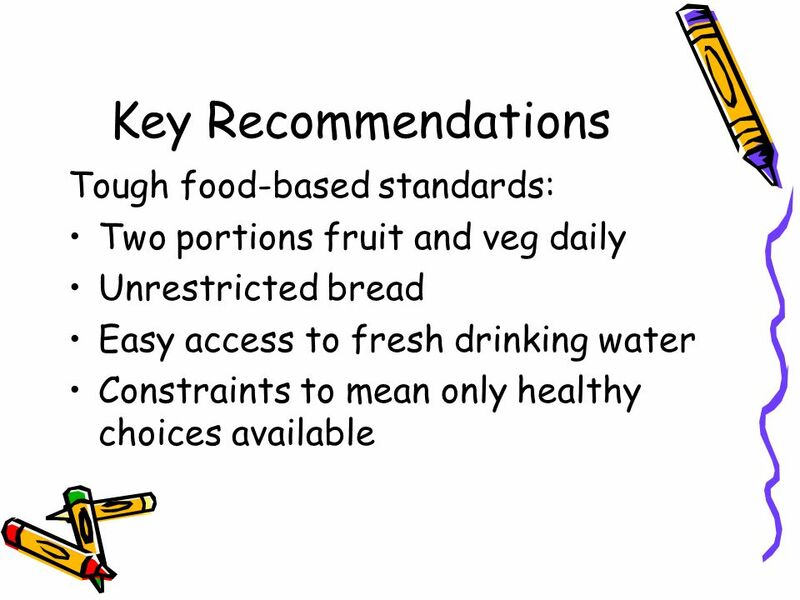 Sept 2008 Primary standards to be implemented. 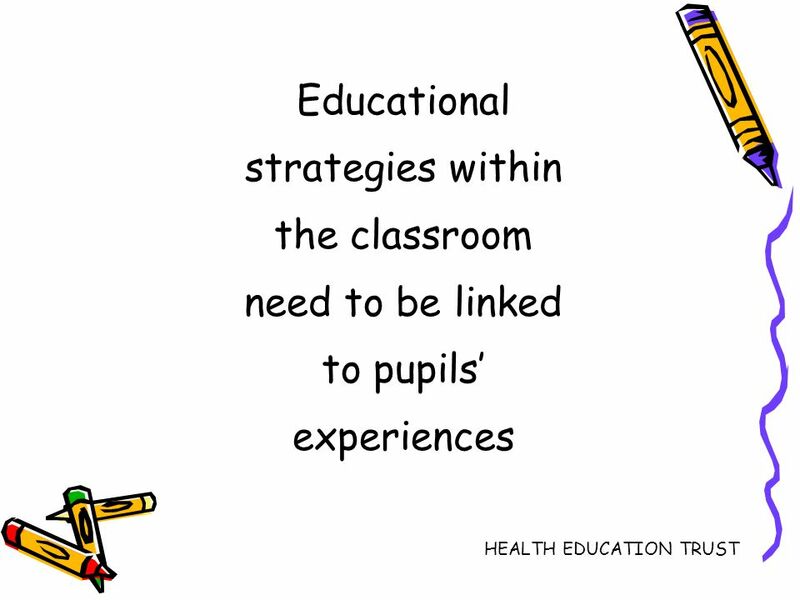 Sept 2009 Secondary standards to be implemented. 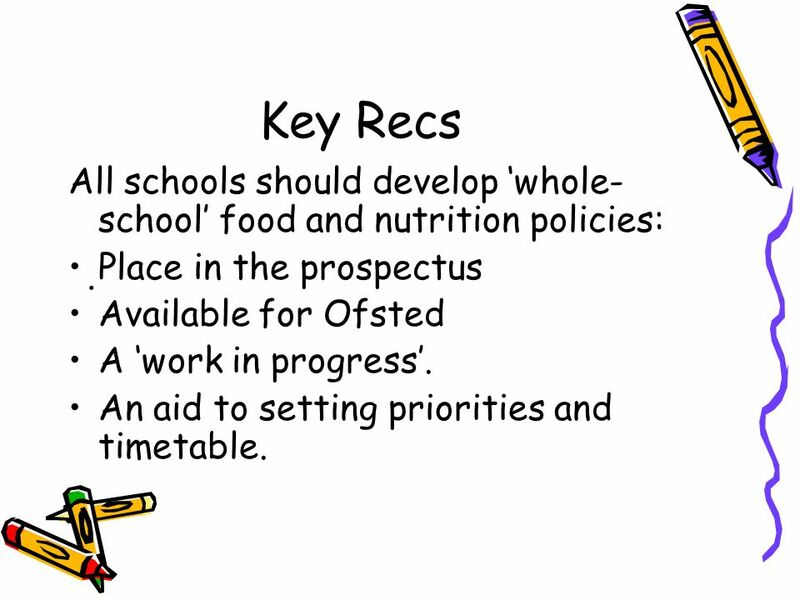 8 Key Recs All schools should develop whole- school food and nutrition policies: Place in the prospectus Available for Ofsted A work in progress. 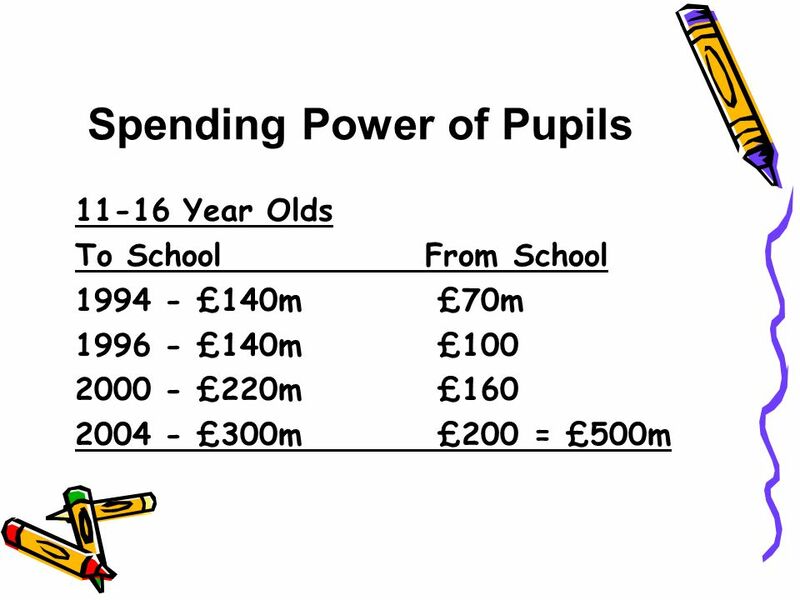 An aid to setting priorities and timetable..
10 Some Challenges Money – is there enough? 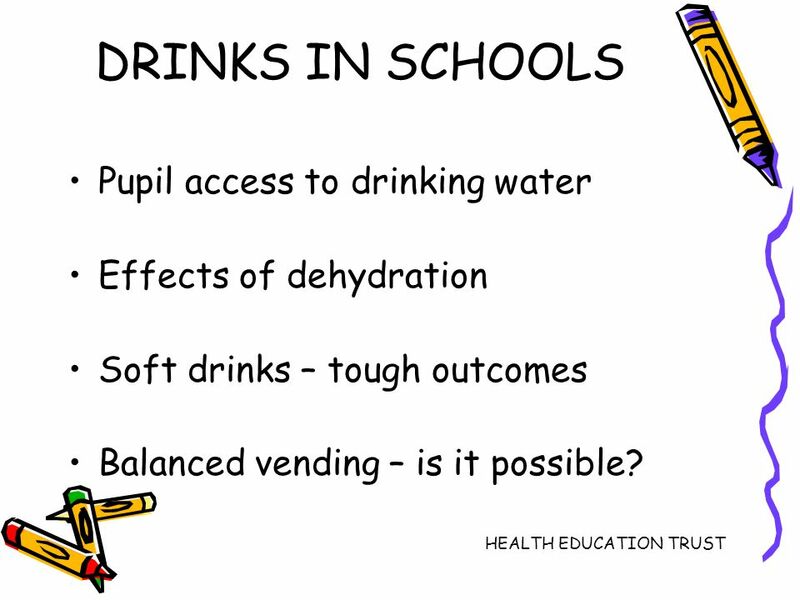 Existing infrastructure. 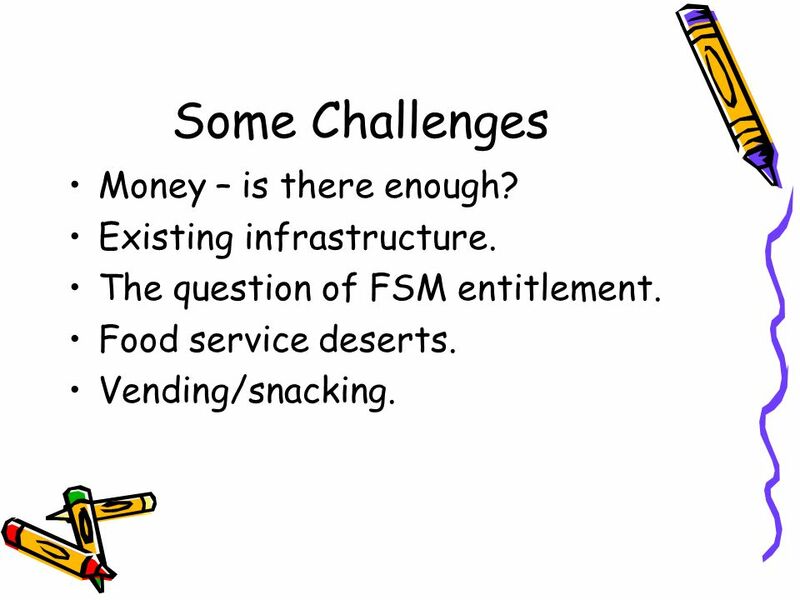 The question of FSM entitlement. 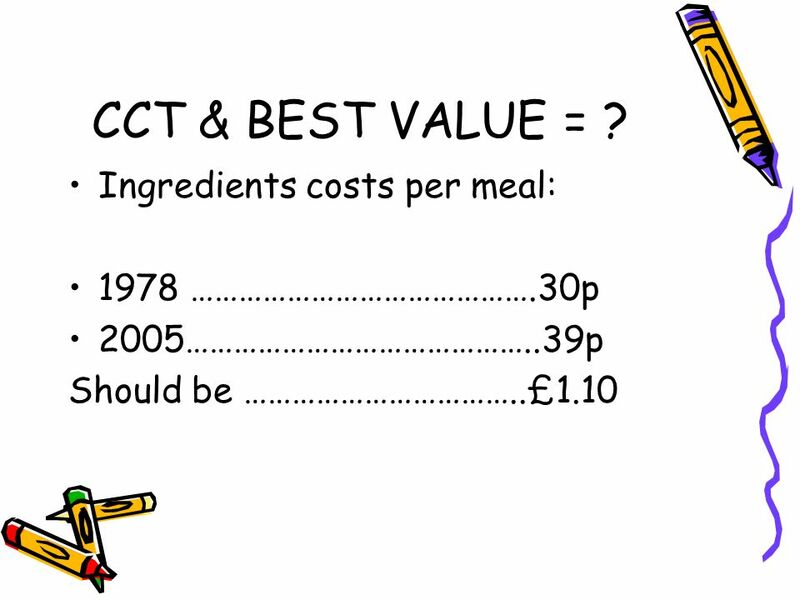 Food service deserts. 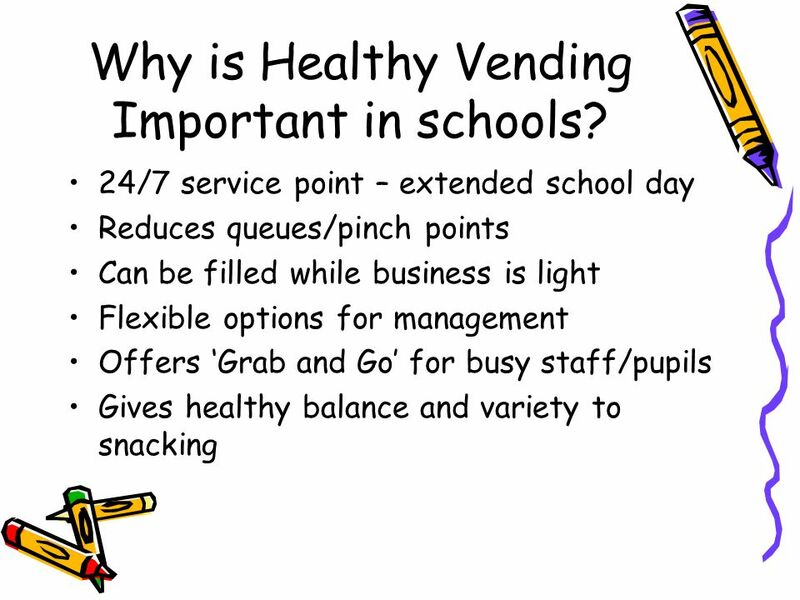 Vending/snacking. 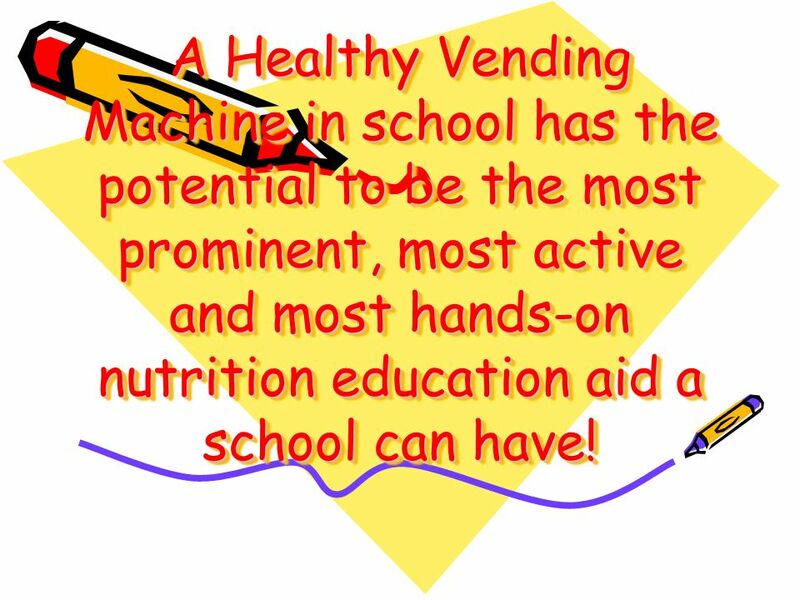 14 A Healthy Vending Machine in school has the potential to be the most prominent, most active and most hands-on nutrition education aid a school can have! 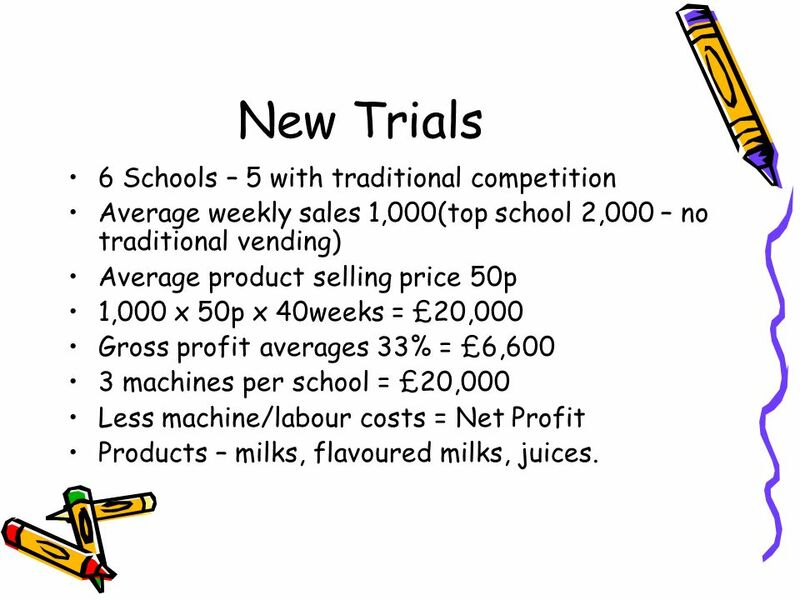 20 New Trials 6 Schools – 5 with traditional competition Average weekly sales 1,000(top school 2,000 – no traditional vending) Average product selling price 50p 1,000 x 50p x 40weeks = £20,000 Gross profit averages 33% = £6,600 3 machines per school = £20,000 Less machine/labour costs = Net Profit Products – milks, flavoured milks, juices. 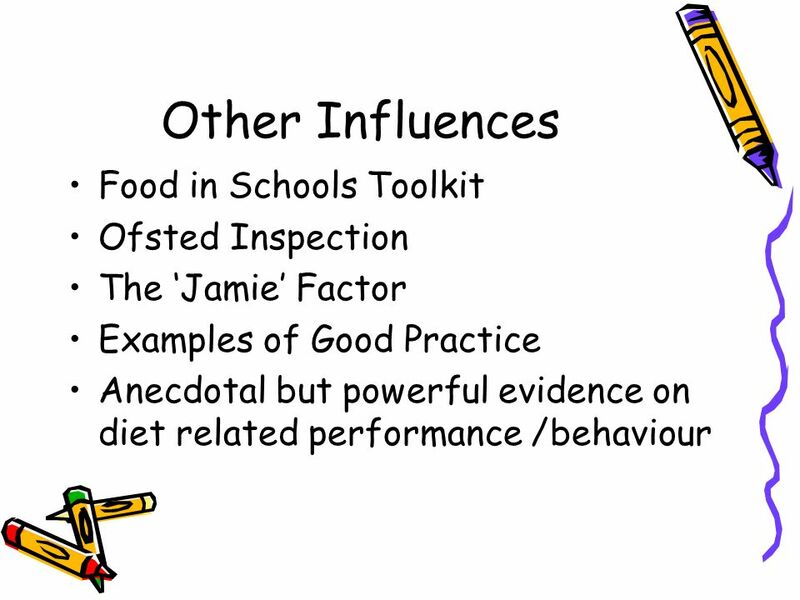 Download ppt "School Meals Review Panel Radical review of school meals service Nutrient standards/food based guidance Infrastructure audit/upgrade Whole school approach." 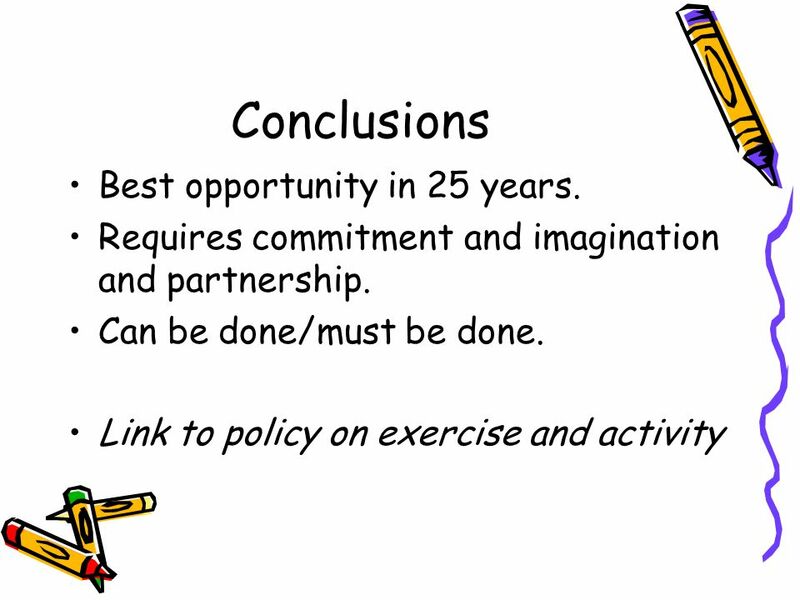 Nutrition Policy Committee Report To LWSD Board of Directors June 5, 2006. 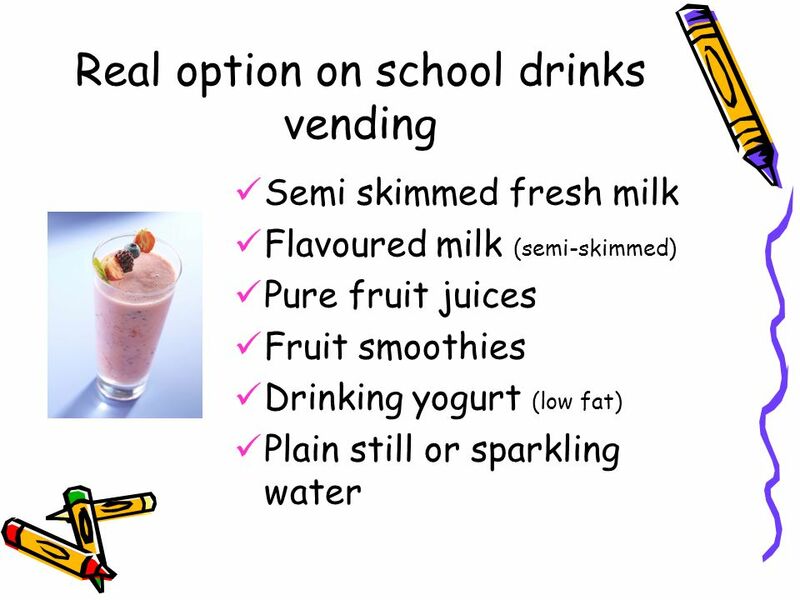 Weight Management How Can I Lose Weight?. Burning Calories Exercise and nutrition are key components in losing weight To lose weight you must burn more. 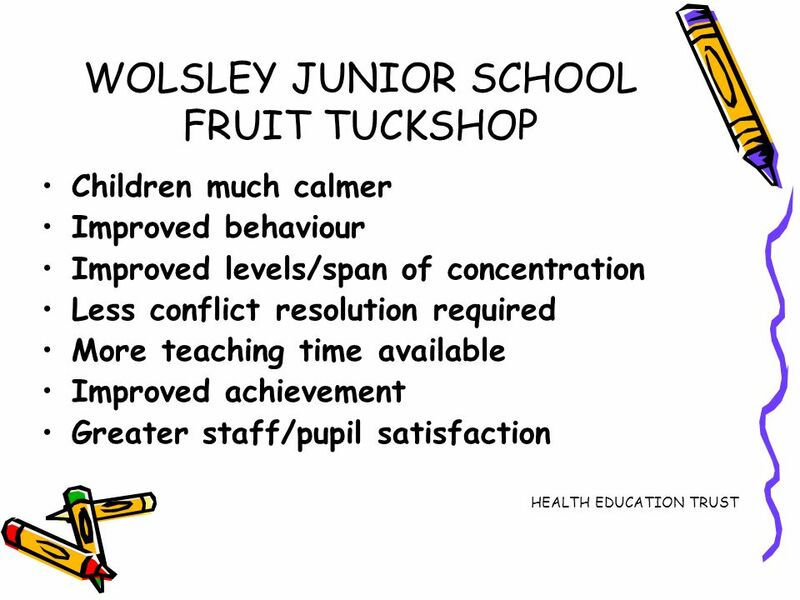 Healthy Eating Blue Sky Thinking. Game Day Dining Jeopardy Winning with Nutrition 4-H Sports Nutrition Program. 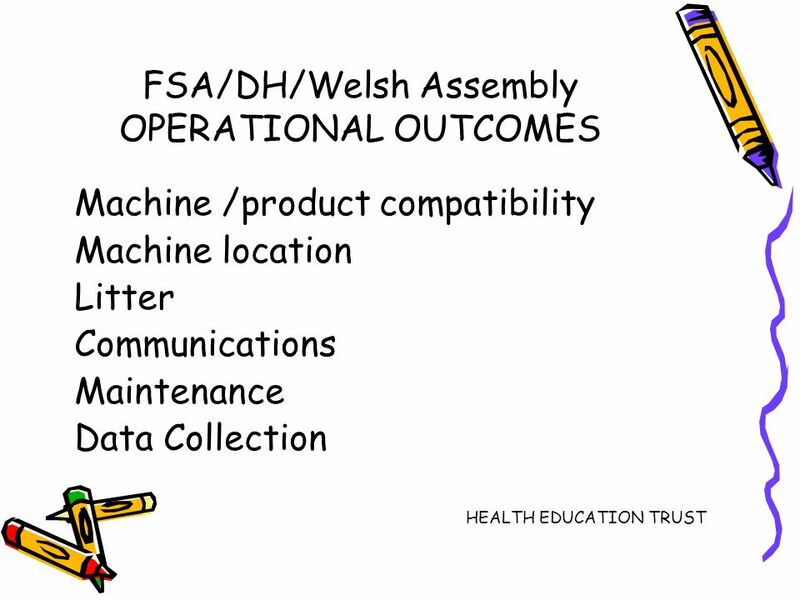 Jenny Jones Public Health Dietitian Caerphilly Local Public Health Team. 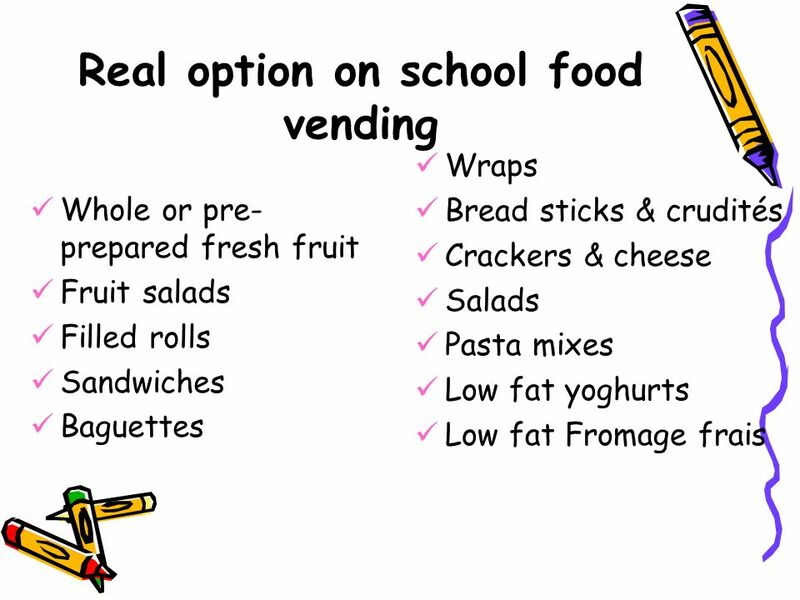 Healthy lunchboxes for students Although we cannot stipulate what your child eats for lunch, here are some tips on what makes a healthy lunchbox: It’s.